Hi sorry please excuse the mass e-mail :). We have an urgent draft translation request. Pls see details below and sample file attached and let me know if you can take this job. I understand, of course, why you have to resort to mass e-mail (translation spam, in other words): you have to find a translator desperate (or inexperienced or gullible) enough to work for the pitiful budget you claim you have (but I do wonder if that is true), or the low rates you offer, and rash enough to accept your kind of deadlines. I imagine that you don't actually expect to receive high-quality translations with this approach. And that is the main reason I won't excuse the mass e-mail: constantly sending urgent requests for translation to all and sundry, as you do, clearly signals that your company sees translators as interchangeable cogs in your machine, that you think any translator is as good (or as bad) as any other, that such things as education, experience and specialization really don't matter, that the only thing that matters in your model is to find someone (anyone) available for cheap at a moment's notice, and too bad about the quality. I have to wonder if your customers are fully aware of what you do with their translations. Do they know that they may get their translations quickly, perhaps, but that what they are getting is likely of poor quality? Are they aware that to find a cheap translator with your mass e-mails you are often sending your customer's files to many translators who won't translate the document, in addition to the one who will get the assignment? Is this really in your customers' best interests? If you need me for a project for which you think I am the most appropriate translator, I'll be happy to send you my quote for the job; otherwise, please refrain from contacting me: I am tired of having my inbox clogged with your (and your fellow project managers) translation spam. I hate translation spam, I never answer it, just delete it straight away! I also receive many such emails which are sent to many translators and they even do not wait for my reply because whenever I send a quick mail, the reply is always the same, that the job is already awarded or worst, the never aknowledg my mail. I get this type of emails all the times. The best is to delete them, never read through, it's a waste of our time. Wow, that's a very well-worded response that's strong and well thought out. Did you send this actual response or is that what you were thinking? We think it's a great one to send! We never get this kind of spam, as we work with direct clients, but you are doing a great thing by educating the client. I did actually send it... in the occasion of a project which arrived on Saturday afternoon, for delivery on Monday, legal text, an unspecified (but huge) number of words, at the princely rate of $ 0.03/word (which, if I had accepted it, would have been from my C language into my B language). I honestly love this site! It gives me a lot of insight in regards to how translators think, and I appreciate that! I must admit, as a PM and Vendor Manager, I have been found guilty of sending mass emails, but in my defense, I completely disagree with the reasoning behind it (at least in my case, I cannot speak for other agencies). We here at Foreign Translations are trying to build our translator database. When I send out those requests, I personally review every response and their resumes and qualifications. (I look for red flags and find them in most of the responses...) And for those who respond AFTER the job has been awarded, we direct them to our personalized VMS site so that in the near future, when we need a qualified professional, we can see their years of experience, rates, etc. and assign accordingly. I never put the rate expectancy in any of the mass emails sent. I believe it all comes down to your relationship with the PM or company. We currently have VERY FEW freelancers in our database and we are working hard to change that, based on the EXPERIENCE of the translator, not the rates...(but, I also do not believe 100% that high rates automatically symbolizes the best quality, either). Nice to see you here. This post was mostly about a specific (and notorious) translation agency (not yours) for which these mass e-mails and bottom rates are the normal modus operandi. The occasional use of a mass-e-mail when a PM is in a hurry for a specific assignment is understandable and legitimate. Doing it on a regular basis, however, is not, in my opinion, acceptable. I agree that high rates do not automatically indicate top quality. Low rates, however, almost always are an excellent predictor of poor quality and amateurish translation. Thank you for the clarification. But I must honestly disagree with you in regards to low rates being equal to poor quality. I know quite a few translators who offer low "introductory" rates who have received very great comments from editors. 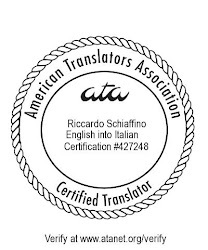 There are many young or new translators who are advised (not by myself or translation companies) to offer low rates until they prove themselves, and then raise it on an annual basis. Also, one must look at the country in which the translator resides. A translator living in Venezuela or China will offer lower rates than translators in Europe or Canada, due to the high cost of living in those particular countries.